When it comes to my eyes I put my black bags down to genetics and there isn't a lot I can do about that except pile on the concealer. What I can do however is make sure that I look after the delicate area around the eye so that I don't look aged before my time and I don't exacerbate any dryness that may cause issues in the future. Where as once upon a time I used to neglect eye creams I've got to the stage where they are now as much a part of my skincare routine as cleansing is. 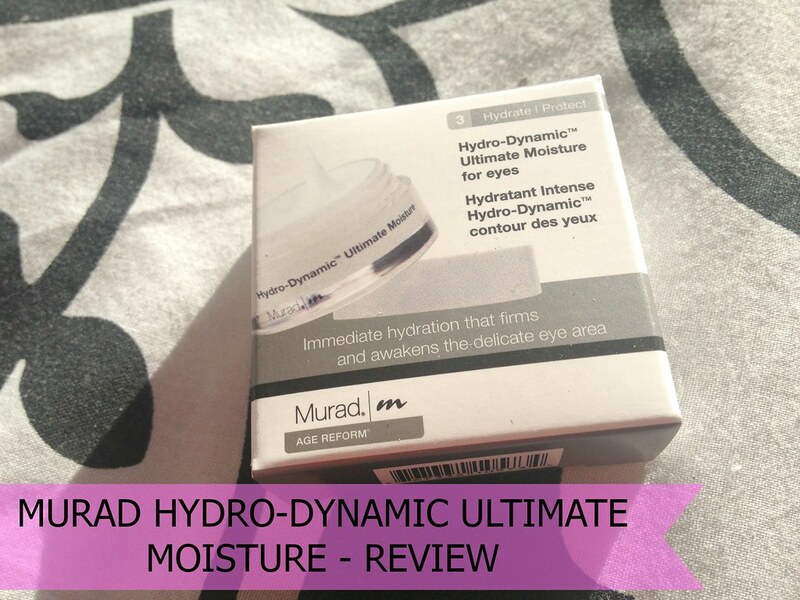 Step forward Murad's Hydro-Dynamic Ultimate Moisture For Eyes. Murad is an American brand created by certified Dermatologist and widely acknowledged world authority on skincare, Howard Murad M.D. 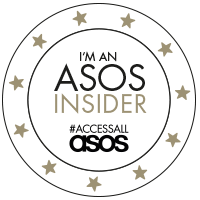 who's aim is simply to "help people look younger, feel healthier and live happier." 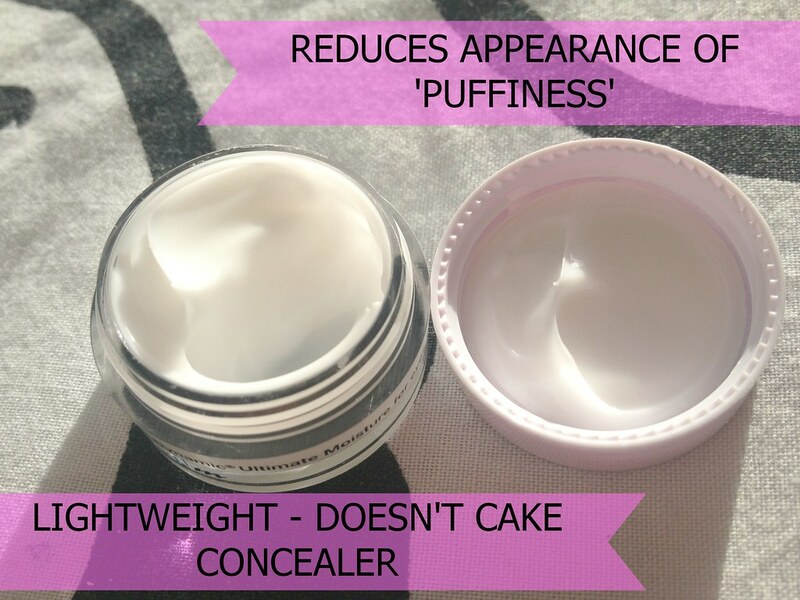 I'm onto my second sample of this eye cream offering from the brand and I thought it was about time that I shared my thoughts on it. Dabbed onto the pressure points around your eye and very gently underneath it until it absorbs it alledges to maintain moisture in this area for up to 8 hours. The ingredients list boasts Murad's Collagen Support Complex, hyaluronic acid and a blend of peptides that combine to increase elastin production, firm the delicate skin, reduce fine lines and boost resilience to environmental damage. Personally I've found that I can quite happily use this in my morning routine: its so lightweight and absorbs really quickly. I prefer something a little heavier in the evening but I think that it could be used in both routines without a problem. When kept in the fridge it reduces morning-puffiness brilliantly. It's unscented (great for the sensitive among us) and if you get it in your eye then it doesn't sting (we've all done it when we're half asleep). Concealer slides on after without a problem and doesn't cake or go dry or patchy or crease which is great. My eye area, after four weeks worth of use, does look a lot smoother, brighter and my finer lines seem slightly reduced. The only thing that I would remark negatively on is that the moisturised feeling doesn't last 8 hours - not for me anyway. I think that I may need to apply slightly more than I do but the price point is enough to make your eyes water slightly: £57.00 for a full sized pot. 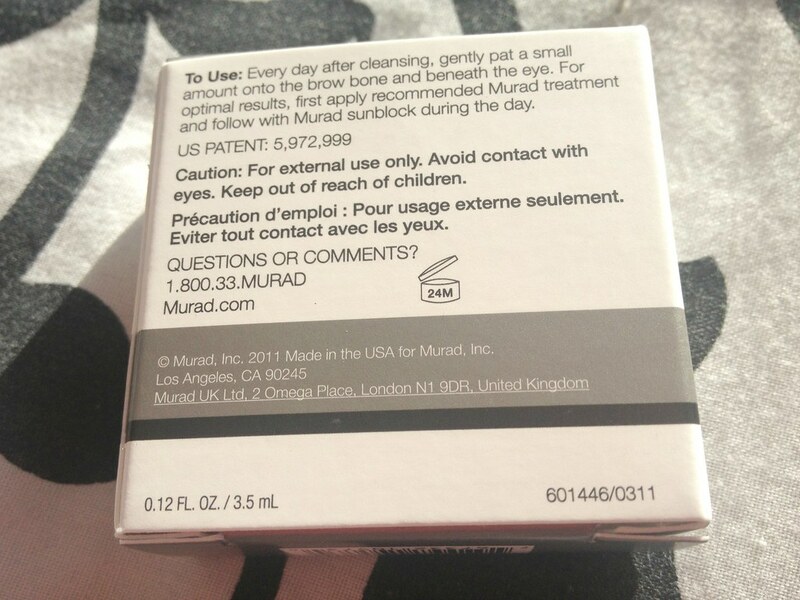 Murad products are available on their website where postage and packaging is completely free. Certainly, It is a significant and informational website. I like your website surely. Thank's for published this website. For more informastion about dermatologist birmingham to visit dermatologist birmingham Associated Dermatologists continuously strives to give our patients the best possible medical care. We specialize in medical, surgical, and cosmetic dermatology with a focus on skin cancer treatment and prevention. When you come and visit us at our new location at 1401 Edwards Lake Rd., you will be surrounded by a staff that cares about you. You can make an appointment by calling us at 205-853-3960.